Olleco, the Renewables Division of ABP Food Group, has beaten 40 other innovative organisations from across the globe to become one of just two finalists in an enterprise category of the 2019 Circulars Awards – an initiative of the World Economic Forum. This recognition reflects the leading role that ABP has made in addressing the carbon footprint of farming and food supply chains. 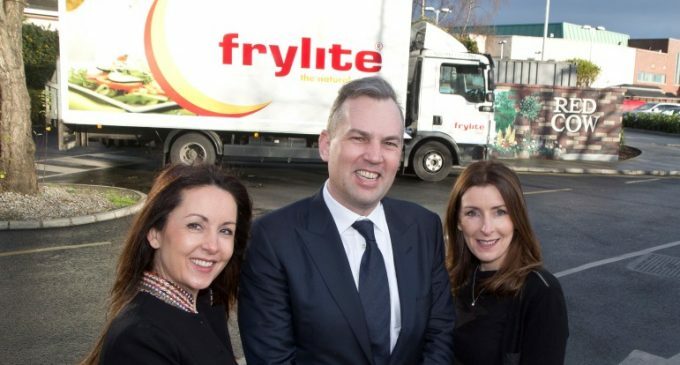 In Ireland, Olleco through its partnership with Frylite, has four depots and collects food waste and used cooking oil from many of the country’s leading hotels and food businesses. This waste is then converted into renewable sources including electricity and organic fertilizer. In the UK, Olleco operates sixteen sites including a bio-diesel production facility in Liverpool and three anaerobic digesters in Liverpool and Buckinghamshire. In 2017, ABP invested £22 million in a green energy plant for Olleco adjacent to the Arla dairy in Aylesbury Buckinghamshire. The plant produces enough sustainable energy to power the equivalent of 12,000 homes. Pictured are (L:R): Tracey Moran, Director Communications, Red Cow Moran Hotel; Robert Behan, Managing Director of Olleco; and Karen Moran, Sales & Marketing Director, Red Cow Moran Hotel.